What is Qigong? The Chinese word Qigong (chi kung) means “energy work”. This gentle exercise is a highly effective way to reduce stress, increase energy, enhance healing, and improve your vitality and longevity. The Chinese word Qigong (chi • kung) can be translated as “energy practice” or “energy cultivation”. Qigong is the ancient art of building the body’s Qi (energy) to a higher level and circulating it throughout the body for rejuvenation and health. Some Qigong is practiced sitting or standing still, while other Qigong can be a kind of moving meditation. This gentle exercise is a highly effective way to reduce stress, increase energy, enhance healing, and generally improve your quality of life. Qigong is a way of life which teaches a practitioner how to maintain and improve his/her health and vitality through the cultivation of internal energy, or Qi. Qigong consists of exercises, breathing, massage, meditation, and lifestyle choices, such as proper nutrition and a healthy sleep schedule. Qigong practitioners strive to get the body to function in a balanced manner, and in harmony with nature. Similar to yoga, Qigong can stimulate the entire body deeply with low-impact movement and develop a stronger mind/body connection. The slow, relaxed movements are widely recognized for their health benefits, such as boosting your immune response, strengthening the internal organs, muscles, joints, and bones, and developing abundant energy. A qigong session makes one feel strong, centered, and happy. For most people, the first and foremost benefit of Qigong lies in helping to relieve or prevent chronic health problems. Recent studies have proven Qigong to be effective in helping people with insomnia, stress-related disorders, depression, back pain, arthritis, high blood pressure, and problems with the immune system, cardiovascular system, respiratory system, bioelectric* circulatory system, lymphatic system, and digestive system. The relaxed, deep breathing during Qigong slowly works to increase lung capacity and increase the oxygen intake into the bloodstream, which improves the function of every one of the trillions of cells in the body. As you progress in the training, Qigong can lead to deep meditative states, and can raise up your spirit, or morale. Regular practice can lead to the development of heightened awareness, both mentally and physically. Studies on the effects of total-body awareness have shown that being in this state produces a higher number of NK (natural killer) cells, which eliminate pathogens from the body. As a spiritual discipline, qigong leads to true self-awareness, tranquillity, and harmony with nature. By developing a balance between strength and flexibility, Qigong can also help elders to prevent falls, which can be a major concern. Also, Qigong exercises can help people to maintain and improve vitality and clarity of mind, and prevent a loss of mental faculties. For many years in China, and more recently in the West, cancer patients have been taught to use Qigong exercises to stimulate the body’s natural defense mechanisms, and to develop a fighting spirit, which is essential in a healing crisis. Using simple Qigong exercise, many patients can survive cancer by raising the activity of the immune system to a level at which advanced healing may take place, or so they may endure the rigors of Western treatment, such as chemotherapy and radiation. For this reason, acupuncture and other Chinese arts are being studied, recommended as “alternative” healing modalities, and used widely in clinics and hospitals. 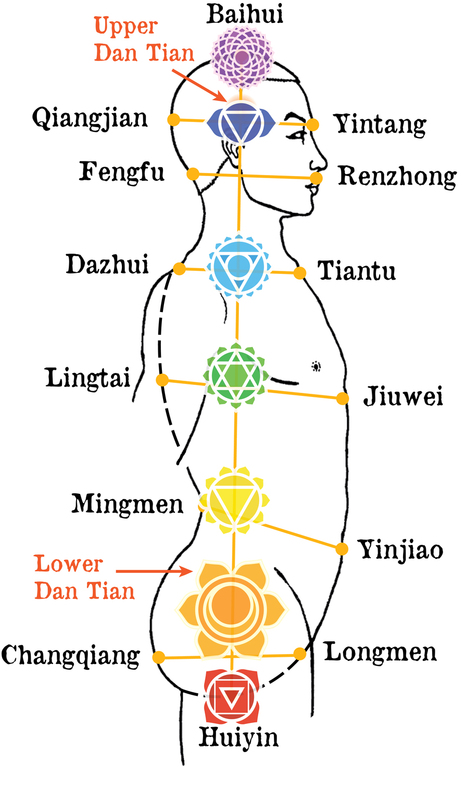 Medical Qigong is the preventive and self-healing aspect of Chinese medicine. Everyone is exposed to stress, whether at home, at work, or just by paying attention to the world news! Qigong teaches us how to control our reactions to stress and maintain equilibrium, so that life events don’t cause the symptoms of high blood pressure, frustration, or anxiety. Sick people practice Qigong to become well. Healthy people practice qigong to become super-healthy. Healers use qigong to prevent “healer burn-out” and to maintain a positive presence. Preventative health practices are relatively new to America, and are quickly gaining popularity, but they have been practiced in China for over 5,000 years. Traditional Chinese medicine treats the whole body with a holistic approach seeking the root of illness, often halting disease before the situation is serious. The Western approach sometimes treats only the symptoms of the illness, after the disease has developed and become more ‘visible’. The Western and Eastern approaches to healing compliment each other well, offering a more complete view of the body which includes both physical and energetic aspects. Through the practice of certain Qigong exercises, practitioners can stimulate hormone production, which has many health benefits, such as improved sleep and sexual function, and increased metabolic function. New data is discovered regularly by researchers worldwide which demonstrates the importance of understanding the mind/body connection. In December 2005, Australian scientists announced that they had isolated the hormone that is released by the nervous system during times of stress which suppresses the immune system. Relaxed breathing and movement can have the reverse effect, allowing the immune system to function optimally. Even a low level of stress, such as a busy work day, noise pollution, or driving in traffic can dramatically lower the immune system response. The practice of Qigong is simple to begin, but it can become more complex the further you advance in the training. With the proper foundation of understanding Qigong concepts, a practitioner can train more efficiently and effectively. David’s Qigong classes are designed for people new to the study who are interested in understanding Qigong, as well as experienced Qigong practitioners seeking a deeper understanding of their practice. * The bioelectric circulatory system is the system of pathways through which Qi (energy), the life-force, travels throughout the body. These channels and meridians are like rivers and streams, upon which thousands of acupuncture points, or cavities, are located. Of course, every cell of the body contains Qi, but Qi accumulates and circulates differently in different tissues of the body depending on their bioelectrical properties. Researchers in the emerging scientific field of bioelectric research have confirmed that skin conductivity is higher in the acupoints that were discovered by the Chinese thousands of years ago through their intuition and practice. * Qigong reduces stress responses, lowering the incidence of anxiety, depression, fatigue, and general mood disturbance (Journal of Psychosomatic Research, 1989 Vol 33(2) 197-206). * Tai Chi and Qigong minimizes the effects of chronic conditions such as allergies and asthma (American Journal of Chinese Medicine (1981 Spr Vol 9 (1) 15-22). * Tai Chi and Qigong improves breathing capacity (Hawaii Medical Journal Vol 51 No 8 August 92). * Boost the immune system (Prevention Magazine v. 42 May 90, p. 14-15+). * Improves balance and coordination twice as effectively as other balance training (Prevention Magazine, v. 46 Dec. 94 p. 71-72+ & USA Today, May 1996). * Improves postural control, while stretching, toning and relaxing the body in a cumulative way that no other exercise can achieve (American Journal of Occupational Therapy, 1992 Apr Vol 46 (4) 295-300. * Tai Chi and Qigong is the lowest weight bearing exercise, and modified forms can be suitable for arthritis sufferers (American Journal of Physical Medicine and Rehabilitation, June 1991, 70 (3) p 136-141. * Tai Chi and Qigong has been recommended as an adjunct therapy for chronic pain, AIDS, arthritis, insomnia, asthma, high blood pressure, Parkinson’s, Multiple Sclerosis, fibromyalgia, and various psychosomatic illnesses.